What’s Cooking at the College Bookstore? Where do you go when your school-supply requirements include a table crumber, a pastry cutter, and a meat thermometer? If you’re a student at the Culinary Institute of America (CIA) or Niagara Falls Culinary Institute (NFCI), you head straight to the campus bookstore. 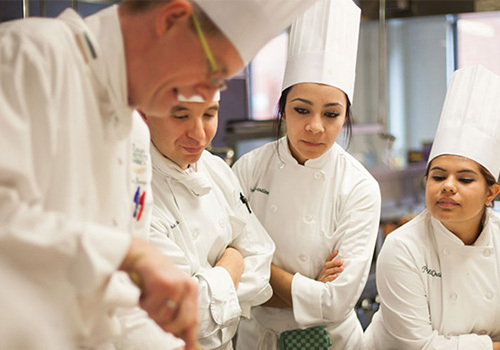 The CIA’s Craig Claiborne Bookstore, which has been managed by Barnes & Noble College since 1989, and the Barnes & Noble at Niagara Falls Culinary Institute bookstore, both cater to students whose classes range from introduction to gastronomy and beverage management to modern banquet cookery and baking theory. 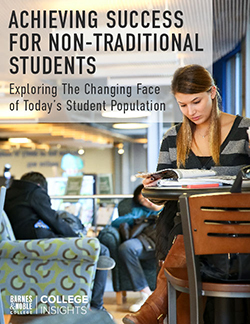 Those not-so-typical college courses require a bookstore that can specialize in the unique needs of aspiring chefs. Textbooks, notebooks and calculators are still essential, but the emphasis at these schools is on craft. 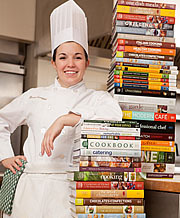 When providing the tools future five-star chefs need to hone their trade, it’s crucial to ensure the bookstore is as well stocked as any top-rated restaurant. 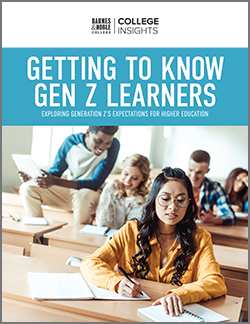 The CIA provides incoming students with required books on the day they arrive, so those venturing into its bookstore “are coming in for fun stuff like uniforms, school apparel, culinary equipment and gadgets, and other items they need for class,” explains Store Manager Christina Ringel. Because students are required to wear chef’s whites in the kitchen, they often scour the aisles for checkered black and white pants, crisp white chef’s jackets and hats, neckties, or school-sanctioned side towels. “It’s always great to see how excited the first-year students are when they pick out their very first chef’s whites,” she says. 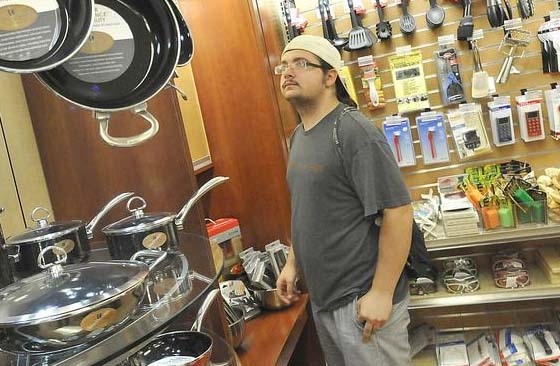 A student views the selection of pots and pans at the Barnes & Noble at Niagara Falls Culinary Institute bookstore in Niagara Falls, New York. Perhaps one of the favorite areas of the NFCI bookstore is the full, working demo kitchen, where student cooking “labs” are complemented by PowerPoint presentations on a sprawling 70-inch screen overhead. Three days a week, students prepare a variety of enticing dishes and offer plenty of delicious samples to hungry customers in the store. Everett, who knows the importance of connecting with the local community, shares the demonstration schedule with area Rotary Clubs, book and church groups, and the local Chamber of Commerce, to bring local residents into the store. “All of the tools that our students use in their labs are available for purchase in the store,” Everett says, adding that it’s a great way to stir up excitement about store merchandise and introduce customers to cooking utensils they may never have used before. A variety of events also offer a menu of unique opportunities for these specialty bookstores. At the biennial Bocuse d’Or USA — the culinary equivalent of the Olympic Games — the Craig Claiborne Bookstore sets up an off-site shop in the CIA’s Student Recreation Center, complete with its own book signings, T-shirts sales and special guests. 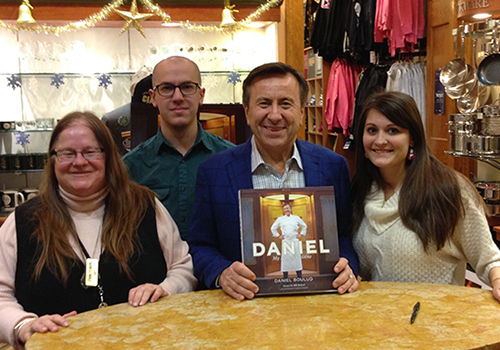 When world-famous chefs Daniel Boulud or Jean-Georges Vongerichten stop by, Ringel knows to make room for a full house. And that student support also extends to the campus bookstore. Ringel recalls one recent culinary inquiry that gave her pause: A customer came into the bookstore requesting a knife to cut, of all things, whale blubber. “At this point, I’ve heard just about every crazy question there is when it comes to the culinary arts,” she says. “And while we didn’t carry a knife specifically for that purpose, we were able to find her one that looked very similar and could do the job. Ultimately, our goal is to support our students — even if it involves whale blubber,” she adds with a laugh.